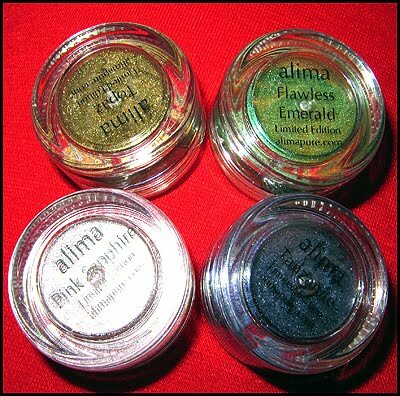 Review: Alima Pure Modern Jewel Box & Classic Jewel Box - Cherry Colors - Cosmetics Heaven! 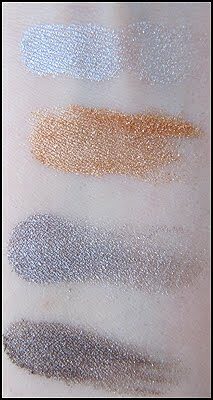 Today my review is about Alima Pure cosmetics. 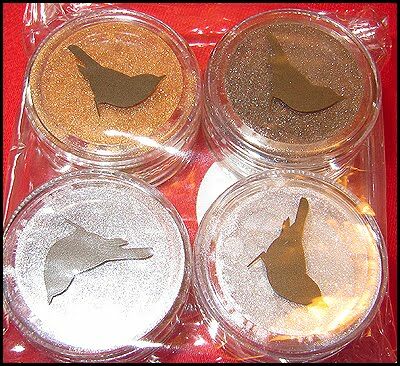 In this case about their lovely mineral eye shadows. I received two gift sets, one of them is called Modern Jewel Box and the other Classic Jewel Box. 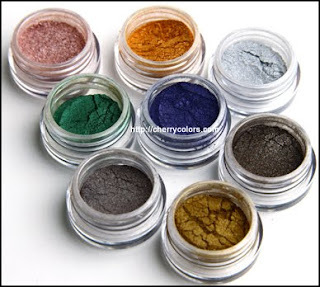 Here you can see the colors of the mineral eyeshadows. These sets are a Limited Edition. 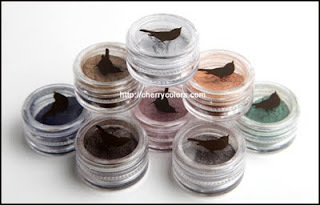 Each pigment I got comes in a 3g jar, without a sifter. Even if they do not have a shifter, I had no problems whatsoever with the containers. They are flawless. They look classic, really pretty. 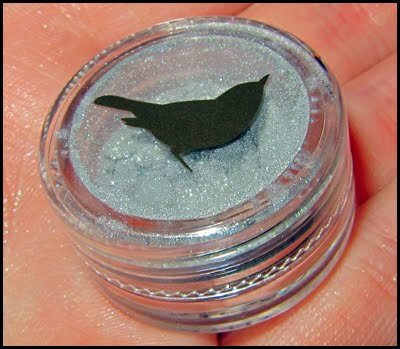 Plus the bird on the jar lid is something really unique! I haven't seen it before.I got the deluxe version, but everyone who purchases this set gets 10g jars with sifters and a gift box! 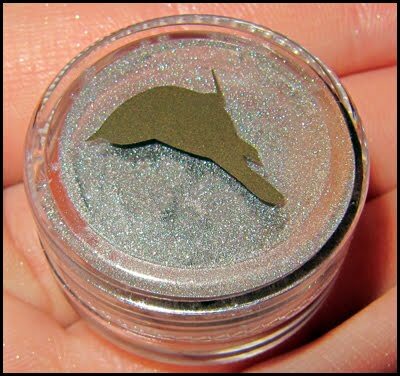 A silvery white eyeshadow, great for highlights! A gray that goes from pearly gray to brown. 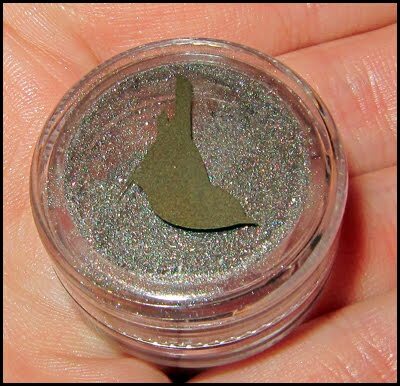 A unique chocolate brown with shimmer. 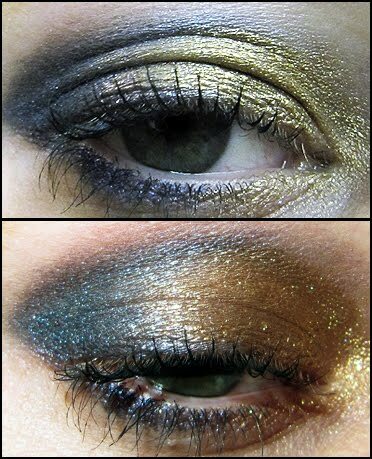 A great gold color with lots of shimmers! 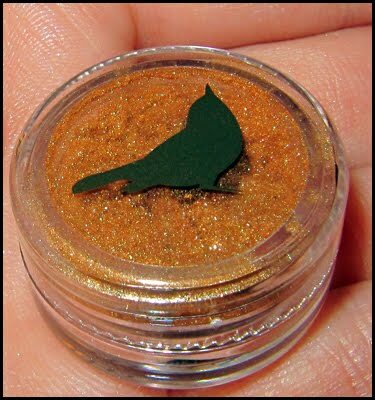 I have also created an everyday makeup with Estate Diamonds and Chocolate Diamonds. Very wearable. The first picture is taken in natural light, the second in a flashlight. As you can see, this collection is really great for every day, because of the neutral colors. It's a great addition to the makeup collection of every woman! A true green. It reminds me of the Jungle. My favorite. It's a deep blue, with a hint of purple. 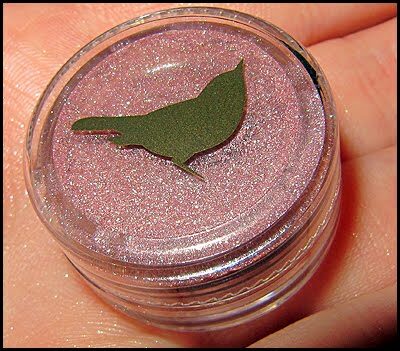 It contains multicolor shimmer, but the prettiest of them all is pink! Dirty gold, a more cold gold that 18k is. 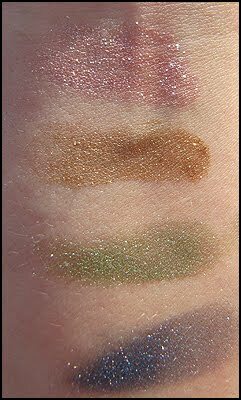 I think that this collection is great for bolder looks, night make up and make up combinations for those who dare to use colors. 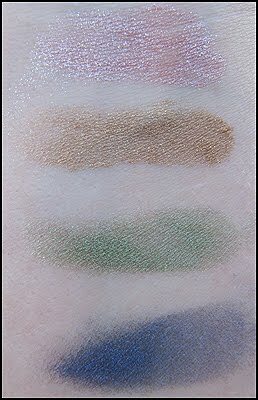 +The eyeshadows are really pretty, great for any taste! +They stayed on my eyelids for the whole day without a problem. +They could make a great gift! +Can be mixed with other things (nail polish, lip gloss, etc) to create new and exciting things! 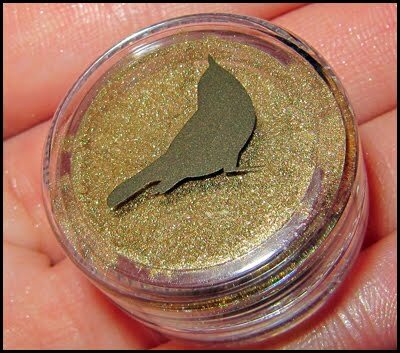 - Some people dislike loose eye shadows. 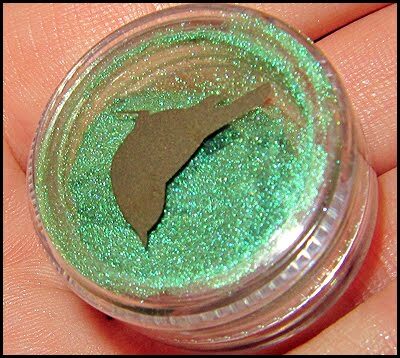 -If you have super oily eyelids, you have to use an eyeshadow primer. 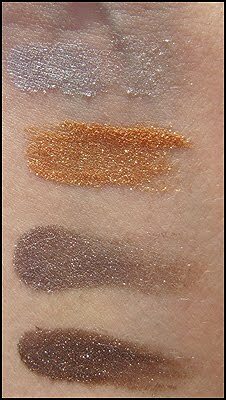 Overall: I always loved loose eyeshadows, but these are even better because they are shimmery. 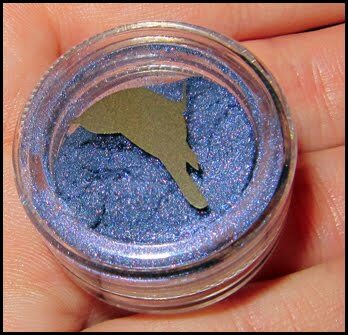 And I love shimmer too! They are perfect for the festive season that has just started. Plus they didn't disappoint me when it comes to oil control over hours. 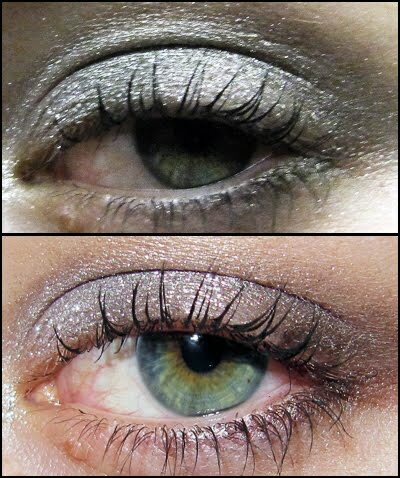 I had no problem with them getting into my crease, even if my eyelids are quite oily. I used a primer when I knew I will be out all day. If you'd like a bolder look, just mix them with some water/toner/VisiClear. Plus these little sets would make a great gift since they come in a gift box (mine didn't because my version is the deluxe version for bloggers). I think that even our mothers and grandmothers would love the Classic Jewel Box!